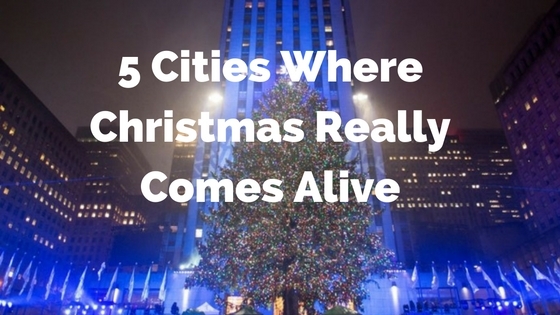 5 Cities Where Christmas Really Comes Alive! Christmas Season is here and this time of the year is synonymous with family gatherings, holiday cheer, carols around the Christmas tree, presents from relatives and friends, lovely turkey feasts and what not. If you ask about the spirit of this season, “Christmas is all about sharing the cheer with friends and loved ones” is all you’ll get to hear. However, this is not common to all. Many of us dream to travel to places that can bring to us some of the finest Christmas celebrations that we can cherish for a lifetime. In fact, if we analyze the preferences of the people, Christmas is the time of the year which many people associate with grand adventures. The working professionals in particular find this time the best time to go out on holidays and get away farther exploring the world beyond possibilities of their home towns and city-life. December is a wonderful time to travel irrespective of whether you are dying to take advantage of the white Christmas abroad, or just trying too hard to get out of the cold and feel the oddly amazing Christmas on the beach. We leave you with all the options you can think of, as we know that they are limitless. However, in the end, where do you wish to go for some ‘lively time’ for self? Here are a few travel destinations that we feel you can pick for your Christmas holiday. Who doesn’t want to be with family during festivals and celebrations? However, if you plan to travel to live some amazing moments of your life, we suggest you to travel to London, England. 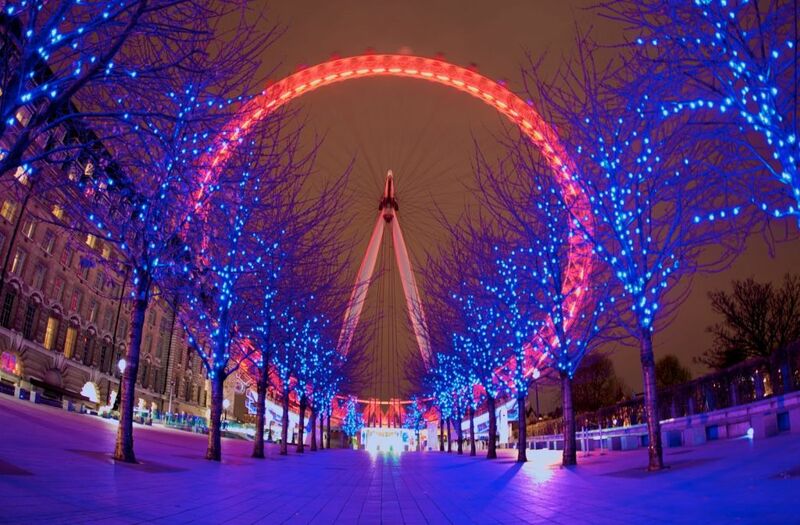 Arguably one of the finest places to spend Christmas, London has an exquisite festive ambience. Thanks to the people here who love Christmas times and buying presents is an exhilarating experience they love being a part of. So, if you did not happen to be here so far, imagine walking down the city’s central streets that are filled with wrapped-up warmth in the people, busy shoppers and enjoying the spectacularly displayed lights of Oxford Street. Also, to add a little more on this, these lights are turned on by a celebrity every year. Irresistible, isn’t it? And, if you were not aware, Britain is also home to some of the world’s most unique Christmas traditions, like pulling Christmas crackers or attending traditional Christmas pantomimes. When you want Christmas cheer to go right to the source, this is this place to be. Lapland, located in the far north of Finland inside the Arctic Circle, is the home of Santa Clause we all wish to receive gifts from. Yes, no matter how old we get, gifts from Santa Clause is something we expect deep inside every year. 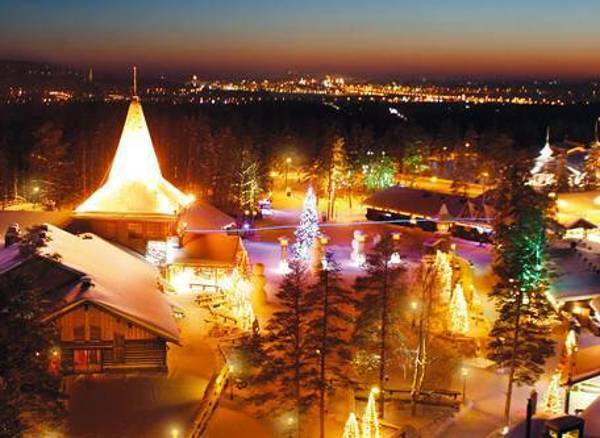 Not just this, there’s a Santa’s Village theme park, friendly reindeer and lots of snow to give you complete Christmas feels you must have ever imagined. So, if you want to be here, all you need is to rug up warm and right, embrace your inner child for an experience like no other for a lifetime. Next on the list is New York City! Much like a fairy tale to many, this place is just how Christmas time feels like. If you’ve ever seen a Christmas movie then we expect you to know about the Big Apple over the holidays. 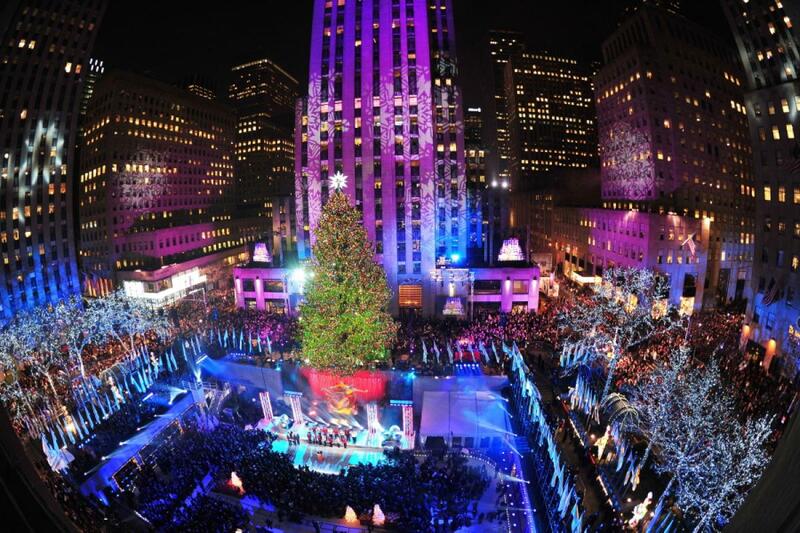 New York City is truly magical in December during Christmas. Whether you speak of the snow on the ground or be it the endless lights and giant trees, Christmas is everything you get to see here. During your stay, spend some quality time watching Santa at Macy’s, go Ice Skating at the Rockefellar Center, gaze at the extravagant window displays and watch the legendary Christmas Spectacular at Radio City Music Hall and live the best of the times with your near and dear ones! 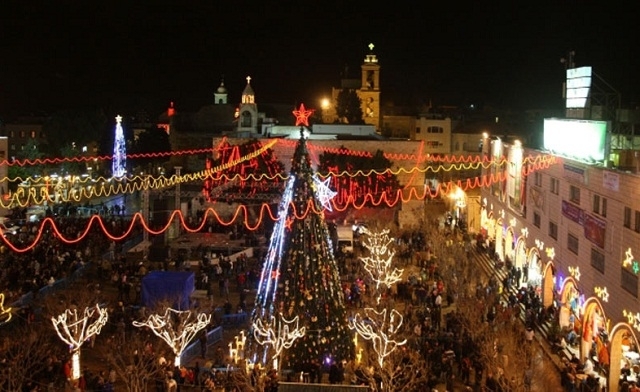 Whether you are religious or not, you cannot resist the exceptional ambience of this festive season in Bethlehem. When in Bethlehem, all you need to do is to make the pilgrimage to the birthplace of Jesus and be humbled by the true meaning of your holiday here. Anytime you are out in the open in December here, you’ll feel an incredible energy throughout the whole town and you can’t miss midnight mass at St Catherine’s Church for a perfect midnight moment. 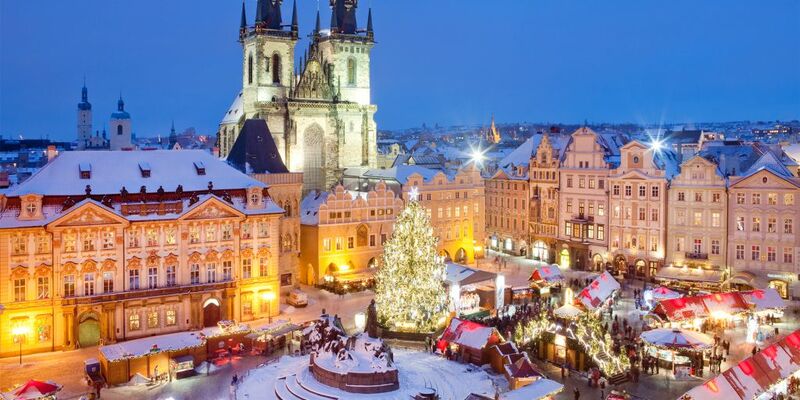 Prague, we will not have to explain to you in detail about the festive mood of the people here as it gives you a magical winter wonderland over the festive season for which you just don’t an explanation. All you must do is, experience and live the moments. The streets dusted with snow and the historic buildings lined with twinkling fairy lights are little things that Christmas brings to you in this city. 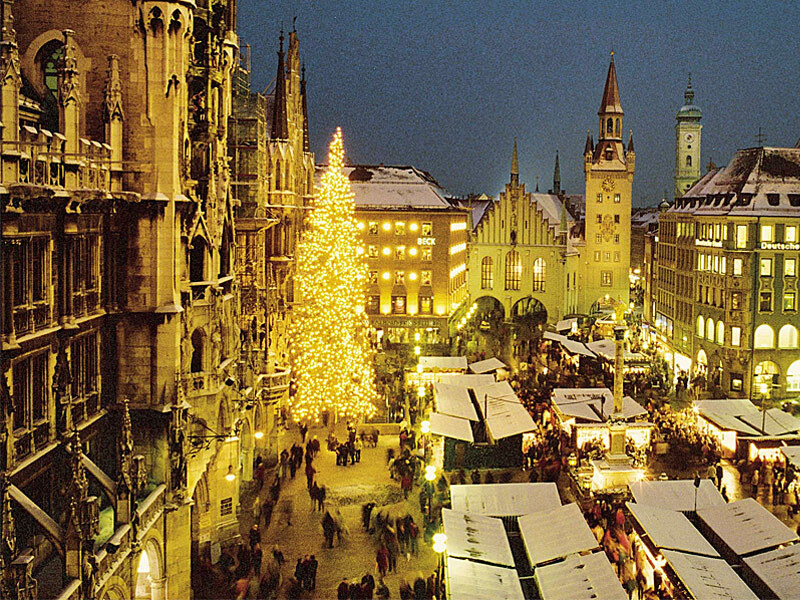 The one thing that will impress you about Munich much more than the beer is the Christmas markets! With the cold snowy air and desire for some warmth and festive feel, these quaint fairs selling all sorts of Christmas related sundry and more, will really put you in an unavoidable, ridiculously festive mood you will cherish for life! Already making plans to be here or do we need to give you more reasons?